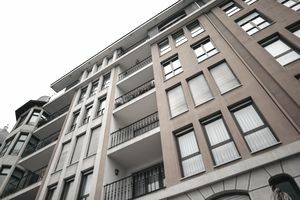 Landlords and tenants in Tennessee should understand their security deposit rights under the state’s landlord-tenant act. These rights include how much a landlord can collect, how the deposit must be stored and if a walk-through inspection is required. Here are seven basics of security deposits in Tennessee. Is There a Security Deposit Limit? No. In the state of Tennessee, there is no limit on the maximum amount a landlord can charge a tenant as a security deposit. In Tennessee, landlords must deposit a tenant’s security deposit in a separate account. This account must be in a bank or other financial institution that is subject to government regulations or Tennessee state regulations. The account does not have to earn interest. If a landlord fails to store a tenant’s deposit in an account properly, the landlord cannot keep any portion of the tenant’s security deposit. Yes. A landlord must notify the tenant in writing that the security deposit has been placed in a separate account. The landlord must include the location of the security deposit but does not have to provide the tenant with the account number. Yes. In the state of Tennessee, a landlord must do a walk-through inspection to look for any damage to the property and must put together a written list of any damages. The tenant has the right to be present at this inspection. There are a few rules to this inspection. The landlord must notify the tenant in writing of the tenant's right to be present at the walk-through inspection. This notification should be made when the landlord gives the tenant notice to vacate the unit or within five days of receiving a tenant’s written notice to vacate the unit. The inspection must take place within four days of the tenant moving out of the unit. The tenant can request a time for the inspection to take place during normal business hours, but the landlord will set the actual inspection time. If the tenant sets an inspection time with the landlord but fails to show up for the inspection, the tenant loses the right to contest any damages the landlord lists in the inspection report. This condition must be clearly stated in the lease or rental agreement for it to be valid. If the tenant does attend the inspection, both landlord and tenant must go through the property and put together a list of all damages to the property and the approximate cost of repair. The landlord and the tenant must sign this list. The tenant’s signature will serve as acceptance of the damages. If the tenant refuses to sign this list, he or she must put together a written list indicating the damages he or she does not agree with. The tenant can then pursue legal action for the items that he or she does not agree with. Are All Tenants Allowed to Attend a Walk-Through Inspection? If the tenant requests a copy of the inspection report, the landlord is still obligated to send the tenant this copy and must do so by certified mail. Returning a Tenant’s Security Deposit? The landlord must send a notification to the last known address of the tenant. This should include the itemized list of damages and the amount of deposit owed to the tenant. If the tenant does not respond to this request within 60 days, the landlord can remove the deposit from the account. The tenant no longer has any right to it. If a Tennessee landlord sells the investment property, or the property otherwise changes hands, the landlord is required to transfer all security deposits to the new owner. The landlord must then notify the tenants in writing that the new owner is now in possession of their deposits. To read the law governing security deposits in the state of Tennessee, please refer to Tennessee Code Annotated § 66-28-301 and § 66-28-305.